Below is my first article on Avalon Authors on May 23, 2011. Avalon is no more and some of us are forming a new group blog at Classic & Cosy. I hope you will join us there. These are my blogs for the original Avalon Authors group blog. Over the next few months, any article title with ‘Repost’ in it will have come from the Avalon Authors blog. Good day. My name is Leigh Verrill-Rhys and I am a new author with Avalon Books. My first published novel is Wait a Lonely Lifetime, a contemporary romance set in Firenze (Florence) and San Francisco. Although this book has had a rocket speed journey from conception to contract, the journey for me as an author has been a lifetime. What can you say about an event that amounts to the biggest moment in a writer’s career? Selling your debut novel. Every description falls short – despite your finely honed skill at the craft you have made your life’s work. I have put words on paper from the day I learned how to hold a pen and make letters. I remember the evening I sat at the drop-leaf table in my parent’s living room, scribbling my story of giants and fairies, when I decided to make writing my profession. Between then and now, there have been a few hundred diversions and denials. All manner of writing has sustained me – from grant proposals to articles to autobiographical anthology editing. Besides short stories, I steered clear of fiction. I told myself, ‘If I truly wanted to write fiction, I would be writing novels.’ But I was writing novels, in my head and in notebooks, a secret indulgence! The day came when I had to make the final declaration. Though I have always written, I hadn’t given myself permission to be a writer. For years, I struggled with where my writing always took me. One day, I confessed. ‘I write romance.’ I lost a few friends or rather they deserted me but I had finally staked my claim on my future. The journey so far has led me to many new friends and opened a vast world of potential. Three years later, almost to the day, I sent my contemporary romance to Avalon Books. 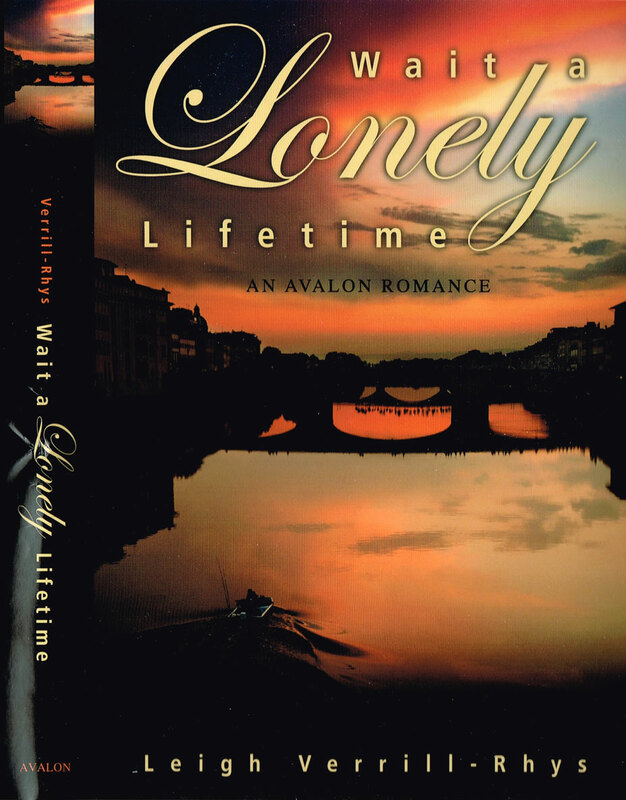 Though not my first completed novel, I’m proud that Wait a Lonely Lifetime is my debut as a novelist. Last month [April 2011], I participated in a group blog as a guest at Four Foxes One Hound. The subject was ‘ideas’ and I wrote about some of the events and images that contributed to this romantic novel. The title sums up not only the relationship in the book but also the length of time to experience enough to be ready for that moment of clear, sparkling inspiration. My moment came one morning in early autumn as I sat at a table in Venice. Across the room, I saw a man in uniform. From that moment, Wait a Lonely Lifetime took shape and flourished through to the end. In this book, I had to explore a world and a way of life that were alien to me. At the same time, I felt I was ‘coming home’. Have you had a similar journey? Where has your writing taken you? By now, Wait a Lonely Lifetime is available as an ebook and in paperback, at local libraries and at Florey’s Book Company in Pacifica, California where I held a book signing in 2012. Impact, Impacted, Impactful Oh My!